Functionality, development, and design of apps are headed for a major change. Apps. We all use them. Maybe they’re for checking the weather. Maybe they’re for checking your email. Maybe they’re for keeping up with your friends on social networks, or maybe they’re tracking your car so that your groceries can be delivered to your vehicle as soon as you pull into the parking lot. Apps can be endlessly useful. But we’ll let you in on a secret: app development, as we’ve known it, is about to be flipped on its head. Enter the Progressive Web App, or PWA. This is going to change everything. Before we can talk about PWAs, let’s talk about traditional mobile apps. You know them because you download them and use them, but you might not think about how they actually work. A traditional “app,” short for “application,” is a program that is downloaded onto a mobile device. They use the device’s storage space to run their software. Progressive Web Apps, on the other hand, are web-based, with minimal device storage required, yet they are built to give the same easy-access and functionality of the apps you’re familiar with. Where traditional apps on a smartphone’s home-screen direct a user to a program on the phone, a PWA brings a user to a cached (i.e., saved) version of a website, offering functionality as simple or complex as the website itself. You could use Progressive Web Apps to search for favorite recipes, check on your fantasy football team, scroll through your favorite social media feeds, get driving directions, and so much more, without giving up massive storage space on your device or dealing with constant app updates that slow your processing speeds and drain your battery. These features are exciting in and of themselves. However, what developers are most excited about is that PWAs do not need to be built separately from a website. A website’s functionality can be extended to include a progressive web app, which means that rather than building a website and then starting from scratch in languages like Java (for Android apps) or Object-C or Swift (for iOS apps) to build an entirely different product—or more specifically, “products” with an “s,” because successful mobile apps are built to follow requirements of multiple mobile operating systems—there is simply one comprehensive development effort. A well-built PWA, just like a well-built website, will work well across all devices. How will user experience (UX) change between downloaded apps and progressive web apps? Beyond the greater simplicity in regards to development and the minimized device storage, there is little about the user experience of a progressive web app that differs from a traditional mobile app. Anything an app can do, a PWA can do too—it’s just a matter of the application being web or device based. They still can exist as icons on a smartphone screen. They’ll just act as light-weight, highly versatile web-based bookmarks rather than redirects to a program stored locally on your device. Many argue that PWAs mark the turning point of apps as we know them and that app stores, as they presently exist, will soon be a thing of the past. If everything becomes web based and the cached version of all of your PWAs seamlessly sync for updates when you are connected to the internet, your devices and your use of them just became significantly smoother. Twitter Lite is a progressive web app that became the default mobile web experience for all users globally in the spring of 2017, and Twitter is hardly alone. Starbucks, Tinder, Uber, Instagram, and Google Maps are all PWA-enabled. Apple, Microsoft, and Google are putting support for PWAs into their browsers, and many cutting-edge web development companies have already started progressive web app development among their other service offerings. Does a Progressive Web App make sense for your business? Let’s think of the answer this way: if you’ve ever wanted an app but have been intimidated by the process of making this happen, now is the moment to seize upon the new possibilities. 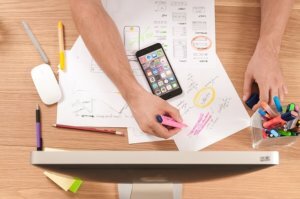 Questions about how a PWA could work for your website? Contact Midlothian Web Solutions today.